You've got a business to run. We'll handle your website! 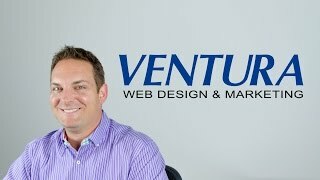 Since 1997, Ventura Web Design & Marketing has been helping retailers grow their businesses online. As an extension of your team, our goal is to provide exceptional design, marketing, and support. Whether you need custom graphics, email marketing, landing page optimization, search engine strategy, or e-commerce consulting, we are here for you every step of the way. Our services are custom tailored to the needs of each individual client. BigCommerce design for new or existing businesses is at the core of what we do. Whether you’re a startup or an existing business that needs a fresh design, we will provide the expertise to get the job done. Our services include everything that you need to get online, interact with your customers, and make plans to grow your business. When a customer is ready to purchase an item online, their search often begins at Google or Bing. While social media and email promotions can drive visitors to your store, search engine results pages are the foremost method of finding your business online. Search Engine Optimization is a very customized service, unique to each individual BigCommerce store that we work on. The fastest way to the top of the search engines is to purchase advertising space per click. Ventura Web Design & Marketing can help you identify the keywords and phrases that are the most likely to bring the right customers to your BigCommerce store. Email marketing is one of the most effective ways to retain interest in your brand and gain repeat business. When your customers trust you with their credit cards once, they’re very likely to trust you again. Effective email marketing takes a lot more than just putting a signup form on your site and occasionally sending out a template email. We craft concise, targeted emails to repeat customers to retain their loyalty. Facebook, Instagram, Pinterest, Twitter, Snapchat, and more. Engage with your customers where they spend the bulk of their online time. Ventura Web Design & Marketing will help you create a custom strategy to engage with and grow your fans online. Why wait 30 minutes to talk to someone offshore who has never worked on your website when you can trust Ventura instead? Think of us as an extension of your team – We’re here to help you succeed! We offer a full suite of custom design, marketing & support services designed to help retailers of any size grow their stores. From email marketing to picking/packing/fulfilling orders, Ecommerce store owners do it all. But, the most successful clients know when to delegate and outsource tasks. Whether you're hiring talent, or simply realizing that you don't need to do everything yourself, finding the right partners to help you is essential. 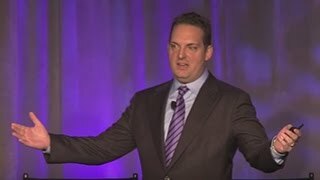 This video talks about how to find the right partner for your online store.